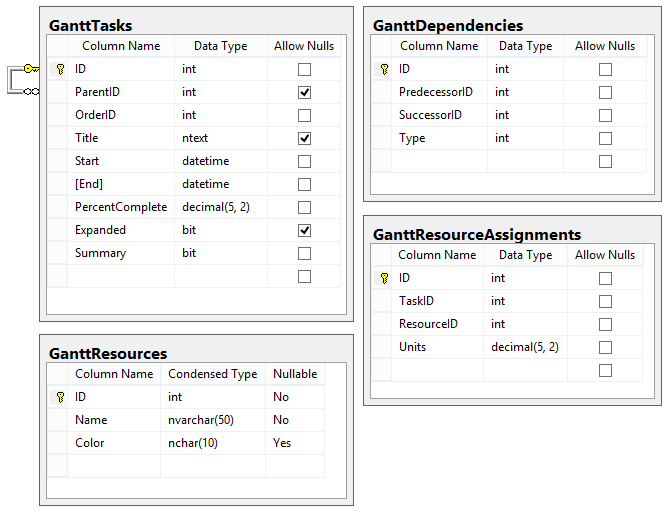 To store Gantt Resources in a database it is needed to extend the minimum requireddatabase structure. Two additional tables are needed. The first will keep the resources data and the second will keep the Assignments. GanttResourceAssignments table represents themany to many relationship between the Tasks and Resources. Figure 1: The figure below demonstrates the tables for the RadGantt with enabled Resources.